The A-House Plan is one of our favorite house plan designs for an executive home design for the conscientious prospective home owner. It has a Victorian classical feel, together with a touch of stone architecture that is familiar to the hearts of many home owners in East Africa. This design would be great on a quarter acre or more property, though it would fit great on an eighth acre (50×100 feet) plot with the omission of the garage. The A silhouette that is visible on the side of the building is balanced with the three dormer windows and balcony that stick out of the front and the back of the building. 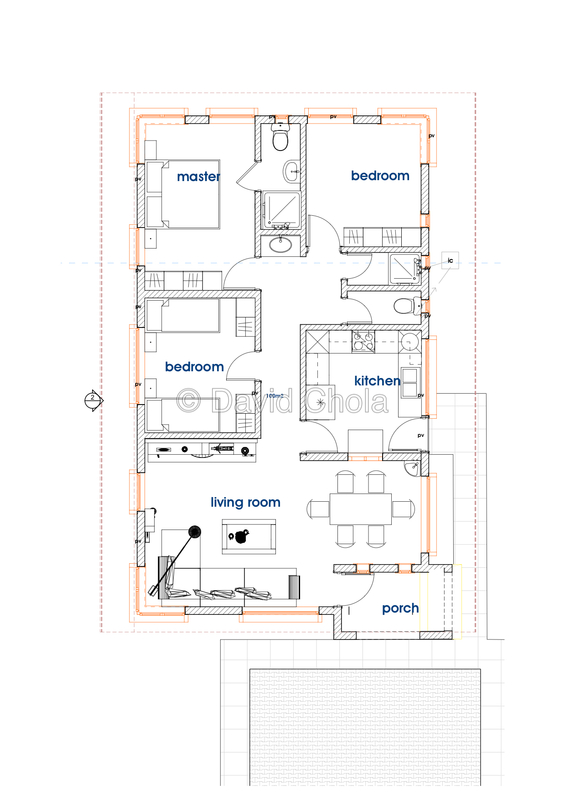 Visit our FAQs post for more information on this house plan and how you can get it. Hi, how much would would the “A” house cost to build (approximately) ? I’m interested in the one on display. Interested in building such a house..how much land and monies needed to complétion..
Is it possible to give an estimate of this house plans. I would very much appreciate your response. Hi how much does it cost to build th Ahouse without the garage on a 50 by 100 plot. Check your inbox for all the details. Thanks for getting in touch. I await your response. 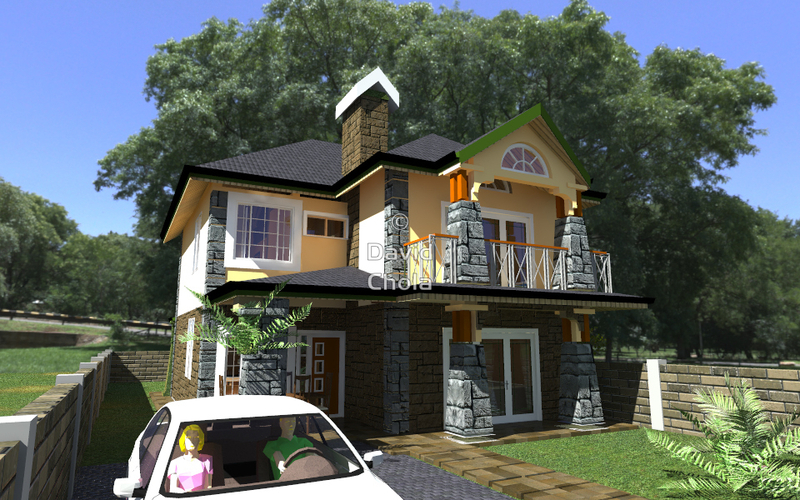 Hi…..how much does it cost to build the house without the garage in Machakos county? What is the cost of a detailed plan from you? Kindly check you email for all the details you requested for. Kindly check your email. 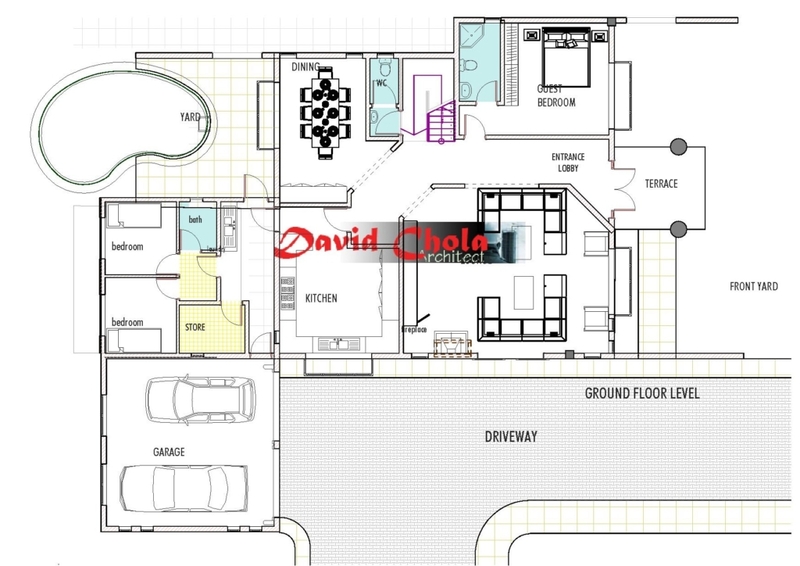 I have sent you comprehensive details on the A House Plan. 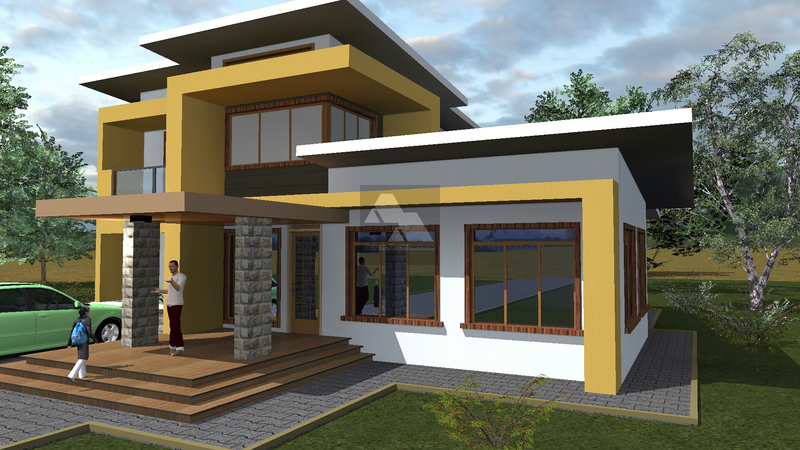 Without making any changes to the design, you will need a budget of about 12M to construct this house. 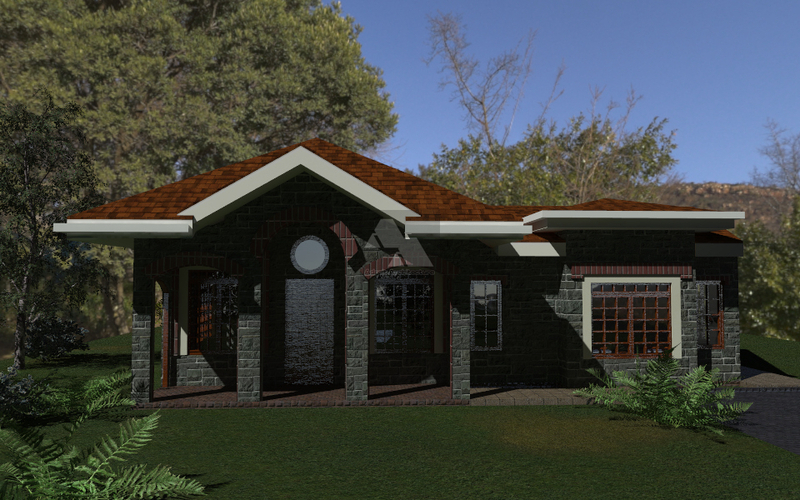 Please note that the cost of construction can greatly vary, depending on the finishes. This is a pretty big house and variations can be made to fit your needs and budget. Some clients choose to omit the garage, the servants quarter and even the attic, which is a whole floor by itself. I have sent you and email with more details. Hi David. Pls give me details of this house. Ie in terms of costing I’m very interested. Check your email for all the detail. The standard cost of building currently is between KES 25,000 – KES 35,000 per square meter, according to the latest published rated from the Institute of Quantity Surveyors of Kenya, depending on finishes and location of the project. This cost varies greatly but it is a good guideline to use. 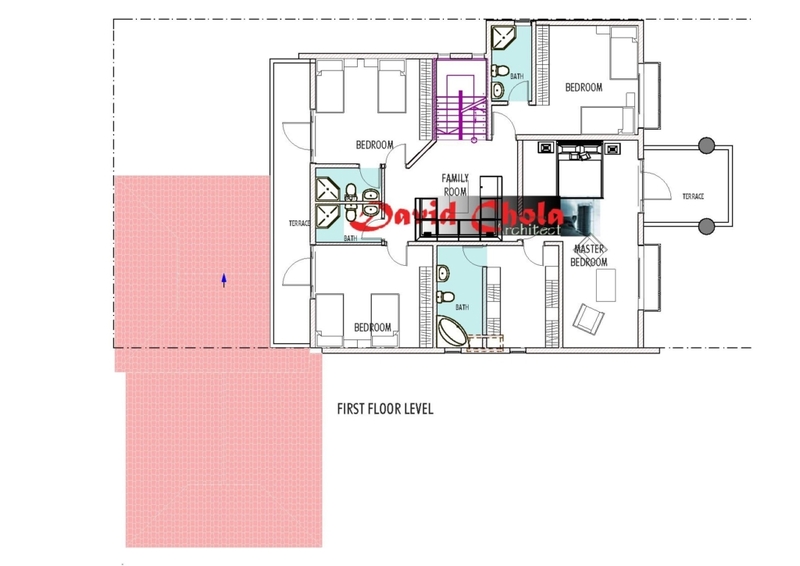 Now, a 5 bedroom house with standard size rooms would be around 250m2 going up. 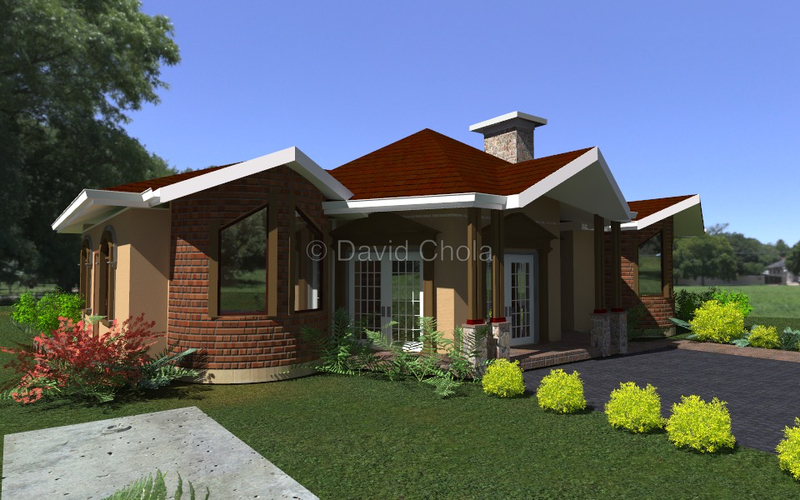 Using the rates given above, the cost would be between KES 6.25M-8.75M for the construction. This cost will not include the cost of land, professional services (Architectural, Structural, Quantity Surveyors, Contractor’s fees) and the cost of getting government approvals. For such a plan, how much would the costs be on a two 1/8th plot on kenyatta road thika. As the house plan is, it is designed for a quarter acre piece of land or more, so it would work perfectly if you build it on the 2 plots. However, in case the land is not enough, the plan can be adjusted slightly so make it work.